Want to win a Starbucks gift card before the party even begins? Click the link below! 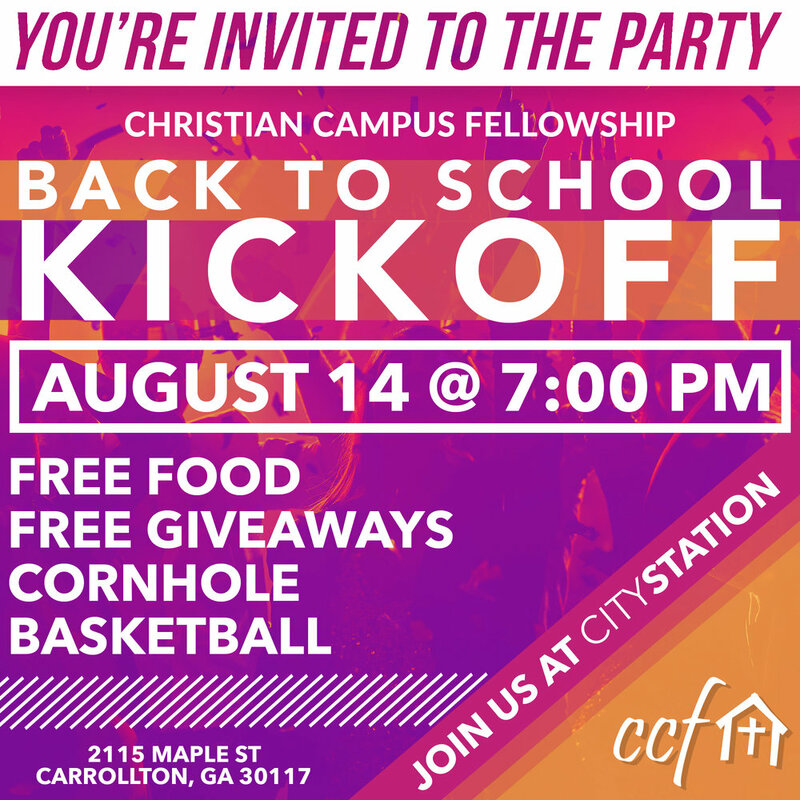 Want to know more about the back to school kickoff or what Christian Campus Fellowship is all about? Send us a message below, and we will answer your questions.